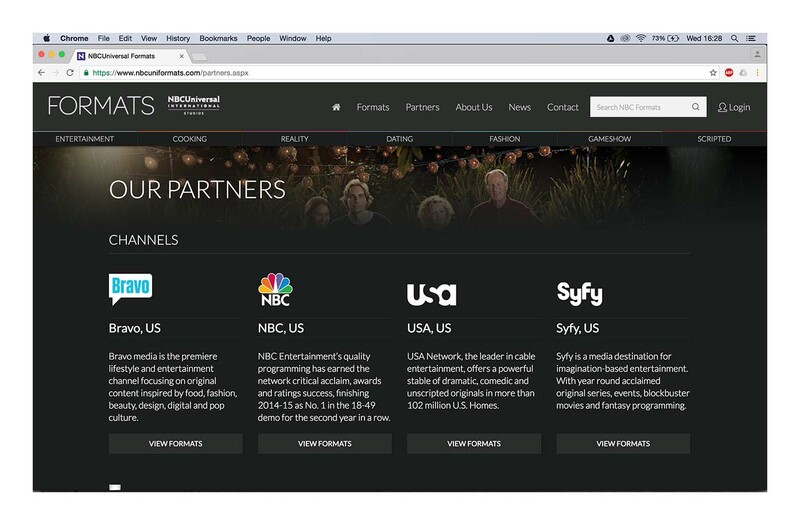 NBC Universal approached us to design and build their global TV Format Sales website. 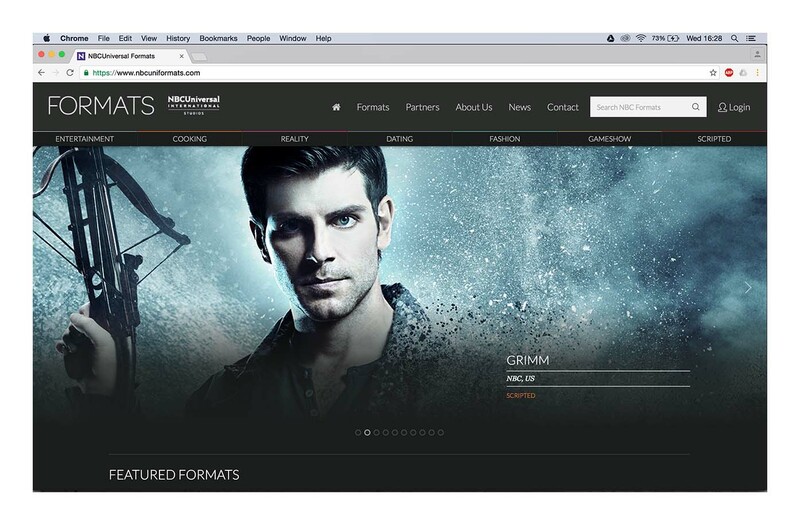 Working with NBC Universal UK's Creative Director and the Format Sales Team we first fashioned an elegant, clean and impactful framework that allowed the Format imagery to lead the design. The design also sat comfortably alongside the high-end, printed Formats Sales Catalogue. The Design and structure was designed mobile first, meaning the screens and functionality transform gracefully between mobile, tablet and desktop. 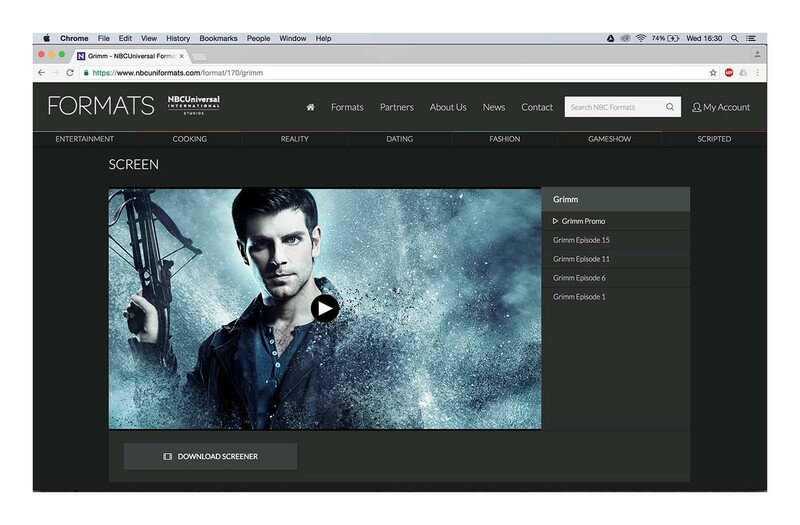 An increasing number of buyers are screening on alternate devices to desktop and the NBC Formats website is a step above many of the big distributor sites that cater for desktop only. 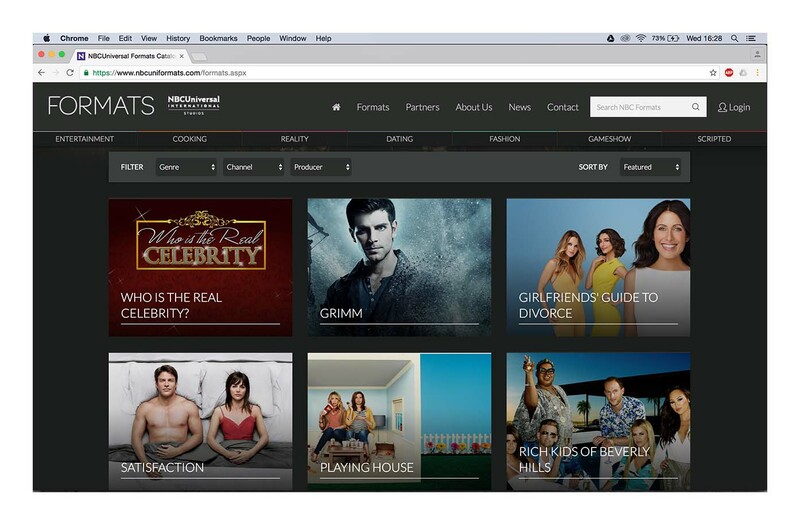 The website needed to do much more than simply function as a brochure... As Bionic Media have been building TV Distribution websites for 10 years, we surpassed NBC's expectations. 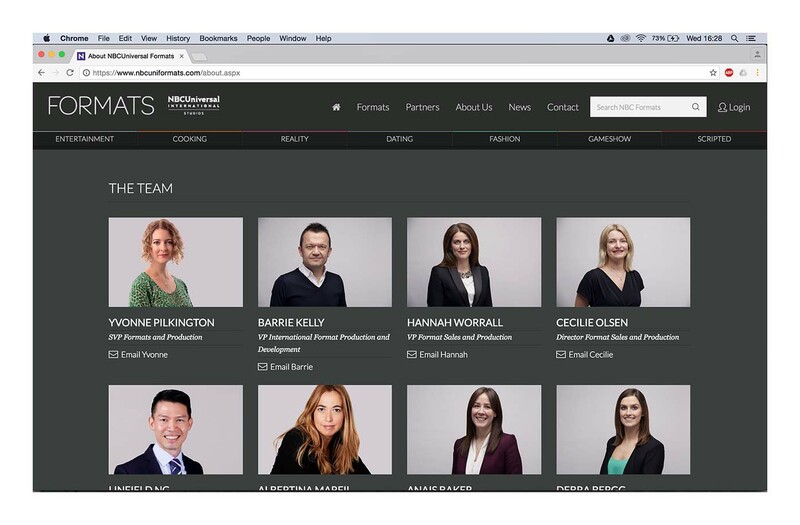 NBC were looking for a system to support their Sales Team and an enabling tool for buyers to work and make decisions with. 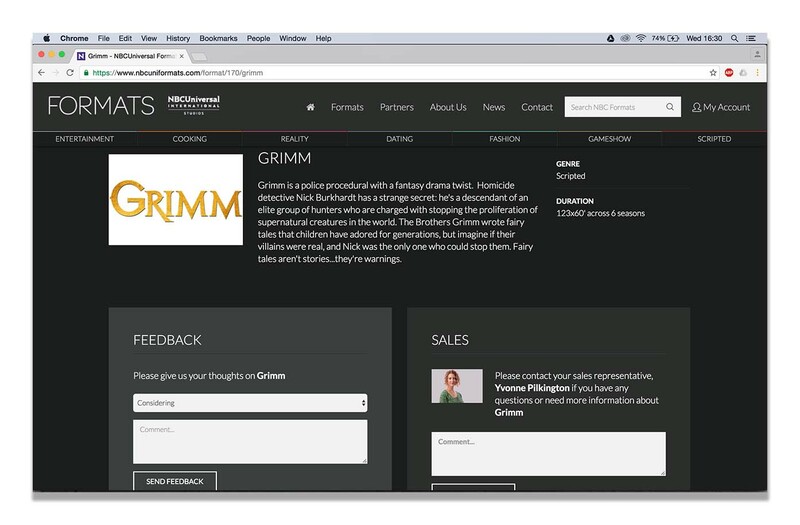 The site is packed with functionality from front-end search and display to back-end administration and reporting. 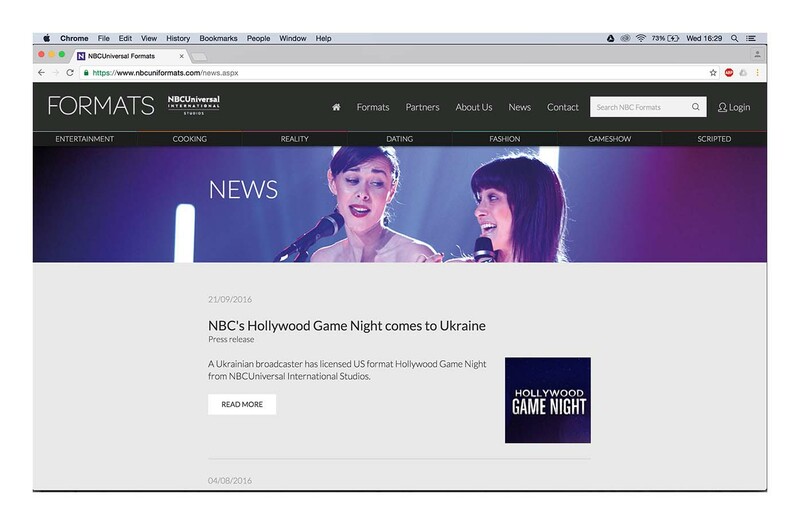 NBC now have a 24/7 Sales tool at their disposal. 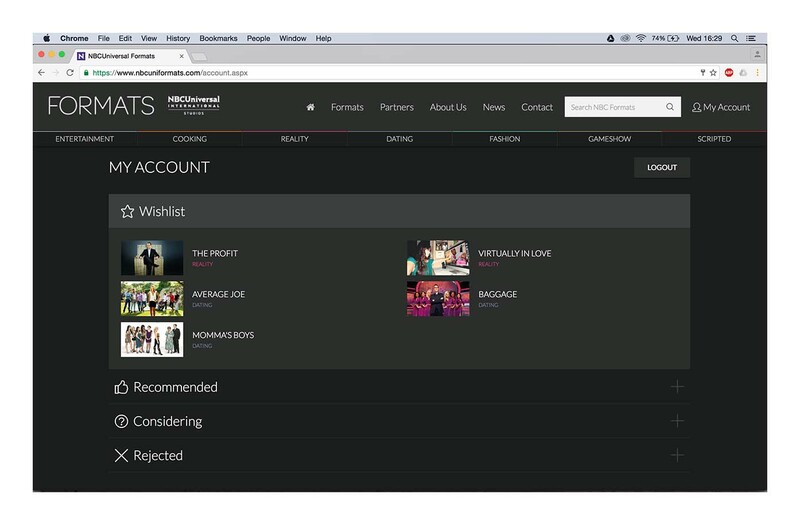 The system features Full-length video management, Transcoding and Streaming playout via AWS. Client / Buyer management, Client playlisting, Email playlists, Dynamic PDF creation, Deliverables management and much more besides.